Prepping for a parade in small town America is serious business. A wave fit for an unclassy queen. First things first, you must start the day off on the right foot in order to be thinking clearly when decorating your parade chariot. Breakfast of parade day champions. Once you’re finished guzzling down breakfast, it’s time to pimp the parade rides. Our parade committee working on finishing touches. It is important that you get gaudy as humanly possible in your finest parade threads. A parade queen and princess adorned in the finest plastic necklaces you can find in America. Be sure your parade float is tuned up and ready to roll (even though you won’t be driving and are too busy drinking Bloody Marys). 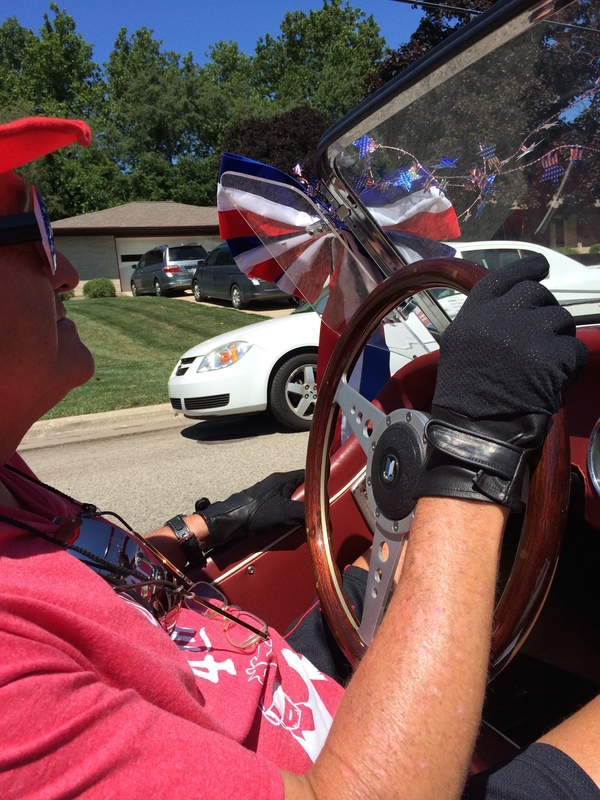 A 1952 Triumph TR3 acting as my parade chariot. 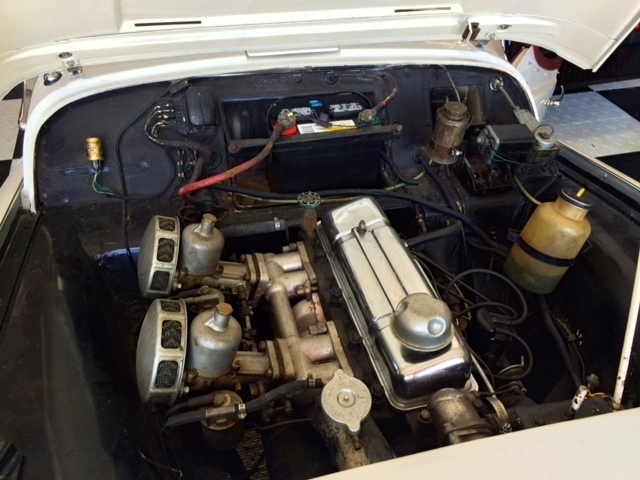 Looking good under the hood. A hot rod of a classic car can never, ever be driven without the appropriate hand ornaments. 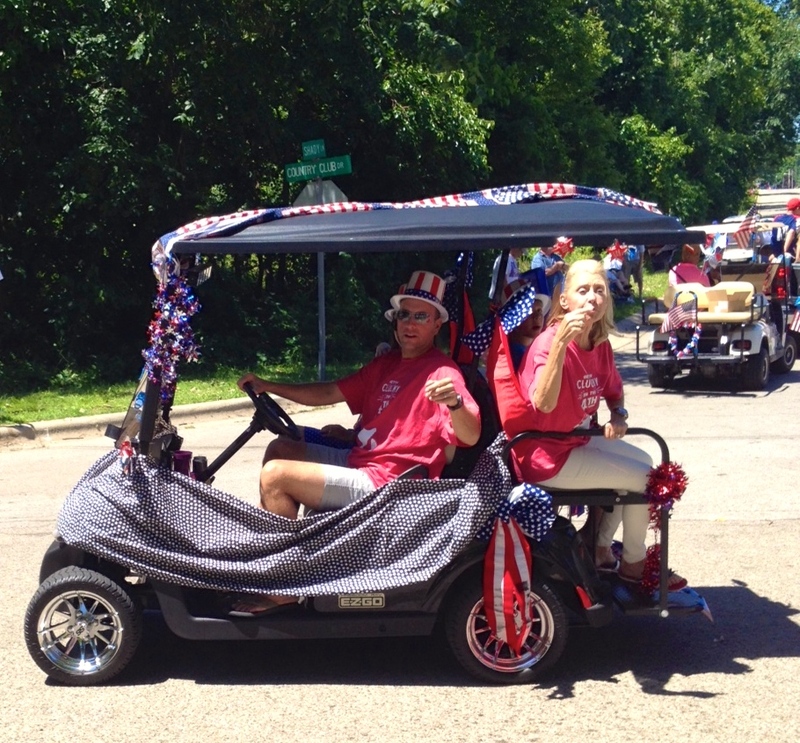 With a driver like this, we should have thrown Grey Poupon instead of candy at parade gawkers. Once the preparations are complete, check to make sure everyone is looking their holiday best. CBXB, Miami Mini Me and Pops ready to cruise. 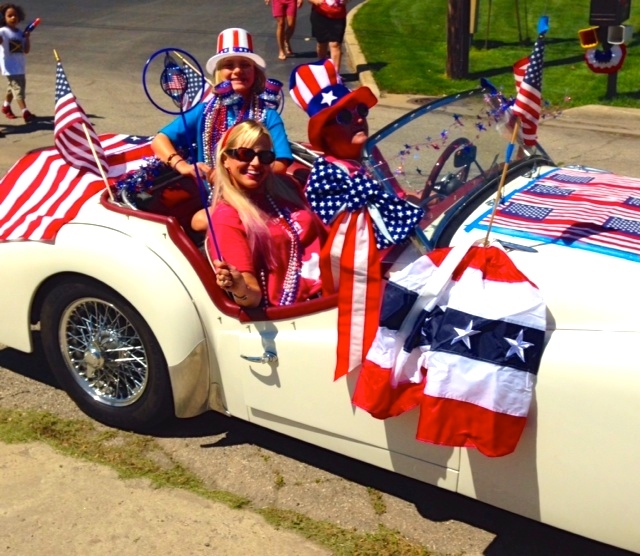 If you happen to have more than one vehicle in the parade, be sure to scream and shout whenever you see them pass by. Avoid the temptation of throwing out all of your candy at once by taking endless selfies. Selfie 1,487 during a 10 block parade. I know, I know. I have mad skills. But don’t get too absorbed in selfies and forget to enjoy feeling like small town royalty while waving your patriotic scepter at parade bystanders. Once the eight minute parade is over, your arm will ache from waving profusely at people who are wondering who in the hell you are, your hand will throb from throwing 32 pieces of candy you meant to aim at toddlers but accidentally threw it straight into the arms of bratty teenagers and you’ll need to drink another one of these STAT. And while it may take many cocktails to help unwind from the exciting festivities, you’ll find satisfaction knowing the parade could not have been the same without you and your crew. 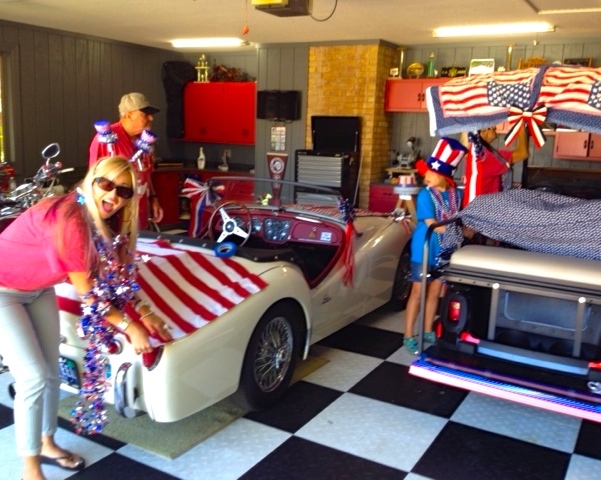 This entry was posted in FUN!, How to... and tagged Accessories, Blog, caption, Cocktails, decorations, diy, entertainment, family, Fourth of July, fourth of july parade, fun, Humor, invaluable treasures, Life, parade, personal, style. How royal you are, CBXB. I do believe you have the Rose Queen wave down. I’ve been practicing that damn wave for my entire life! All of my hard work has paid off. Thank you for noticing! You have such hand control! The perfect wave!! It’s uncanny. The wobble. The wiggle. The rhythm. Ahem. 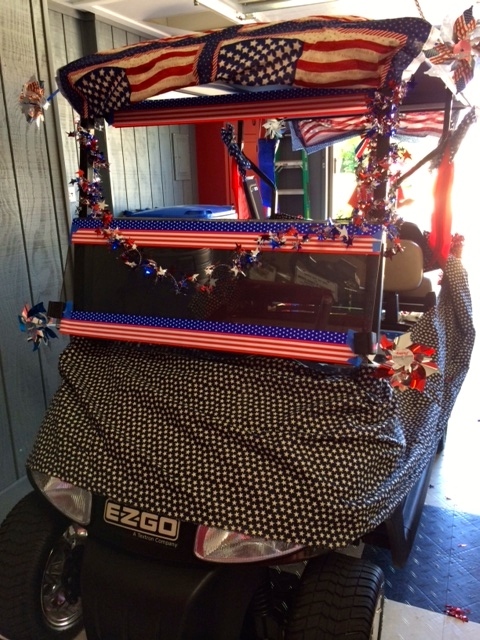 Love the pimped golf cart. It’s the only way to roll in a parade, really! 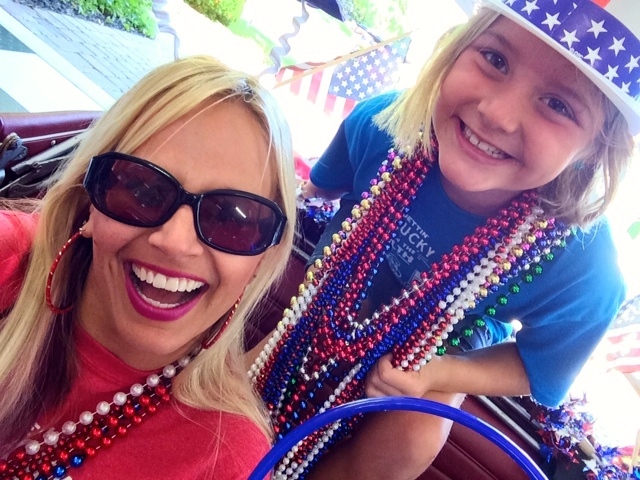 you are adorable in the parade car! 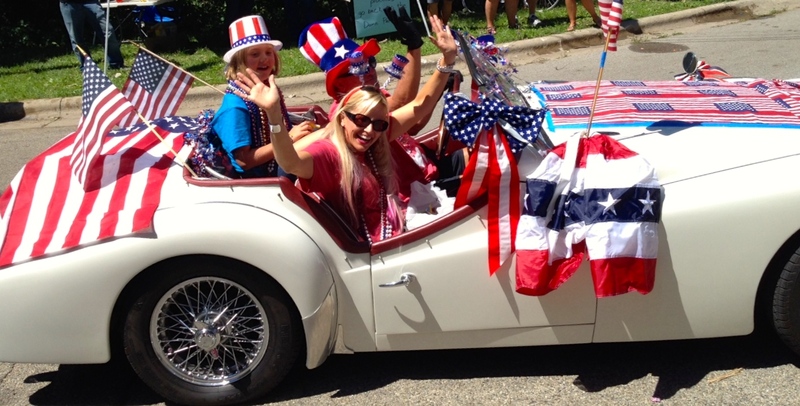 This Patriotic Parade Queen does not get the lyric reference and is feeling ULTRA blonde. Explain, pretty please?! Your candy is en route. I had to throw it REALLY hard to get it your way. The reference is from the George Thorogood song “House Rent Blues” and goes, “Everybody funny….Now you funny too.” LOL Don’t worry Blondie, I didn’t expect you to get it. I woulda dropped my jawbone if you did. It is a random reference at best and with the parade thing thrown in it was even more so. Thanks for letting me of the lyric hook! I threw you a Snickers bar, a Baby Ruth and a can of beer. So please be sure you do duck! WOWZER! That is a lot of parade pride squeezed into one post! 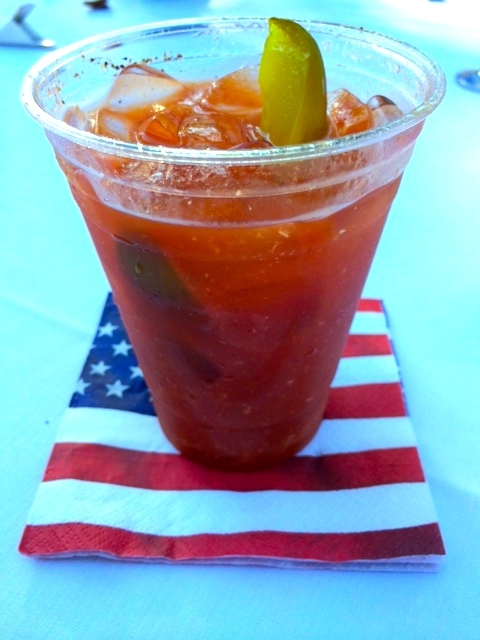 And those bloody mary’s are making me SOOOO thirsty! 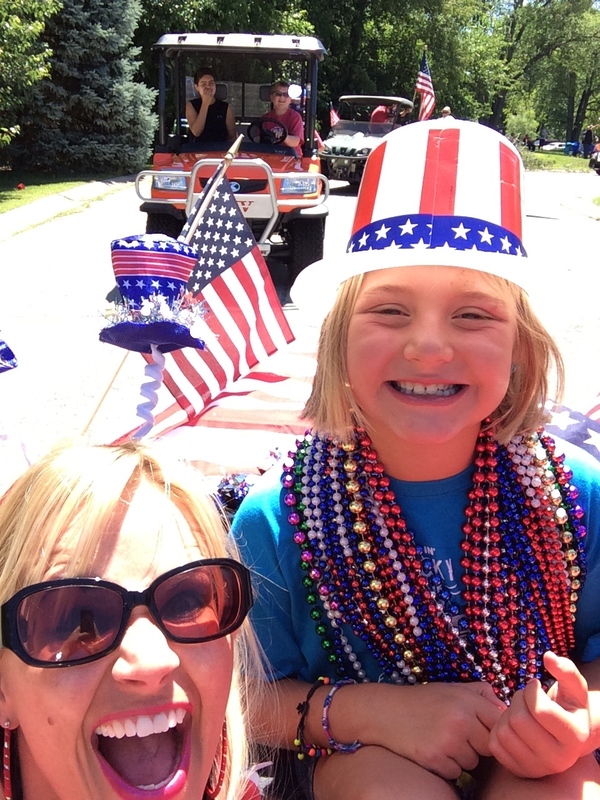 Admit it – yours and the golf cart won the best float awards right?!? Ha! No, bellinis In the am but coconut vodka & soda is my current après beach cocktail of choice! Happy Weekend to the floatiest bloggy gal pal o’ mine! Ooooh…..coconut vodka and soda? I need! I want! Must try! Ciroc – go get it! And if feeling particularly tropical, add a splash of pineapple juice!!!! It looks like you had a lovely weekend! 🙂 Cheers from France! Bonjour CoCo! A fun weekend, indeed. Hope you are living it up in France, my friend! We are most definitely two peas in a pizzaz pod! Very, very cool ride. A friend of the family just got a TR6. Beautiful vehicle. It needs some work, but that’s what he enjoys doing in his spare time. Hopefully, I’ll get to have a ride in it. Hopefully you do get a ride in the TR6. A fun experience, indeed! You need selfies of your Miami Mini CBCX at the beginning and end! I have taken lots of kids in parades and the difference of how they are waving at the to ends is hilarious! p.s. 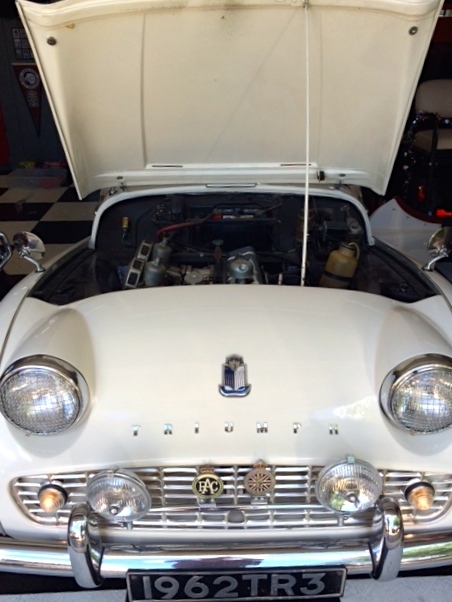 keep some candy to get your Miami Mini all hyped up before you give her back, that is what Uncle Dave does! Uncle Dave is one smart cookie! If I ever find myself in a parade with Miami Mini Me again, I will most definitely take your advice and get a before and after shot. How could I have missed this opportunity? 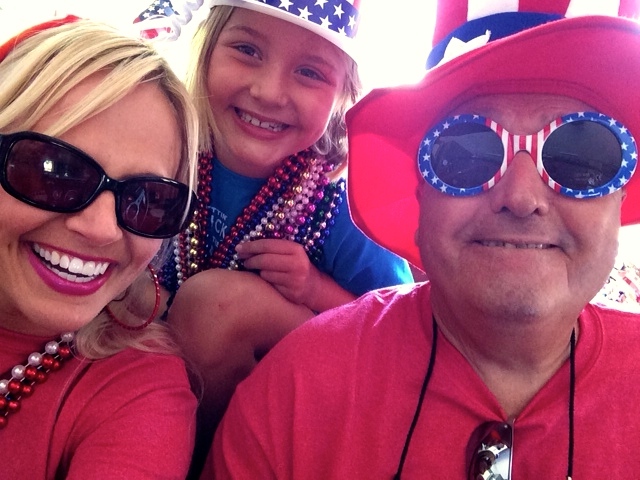 I think I’d had one too many pieces of candy before the parade…. I say the more color, the better! I always start with something fun in the morning on a holiday…no better way to begin!